There tends to be a largely negative narrative about people who suffer from depression. Much of this notion has been believed due to stereotypes that understand depression as merely a little bit of sadness. The reality of depression, however, is that it is an illness that is often out of the individual’s control. Andrew Kroeze is one of many individuals who unfortunately have suffered from depression, and his struggles go beyond just his mental state. One of the hardest things he had to face was the way it weighed down his lifestyle, and how the hopelessness he felt ultimately led to him nearly going broke. Despite Andrew’s entrepreneurial dreams, he initially settled for a 9-5 job. He wasn’t happy with his job, nor was he making enough money to do the things he wanted. For Andrew, his situation was akin to living in financial slavery. Andrew’s situation negatively affected his lifestyle choices. Eventually, he got to a point where he was totally unhappy, and the negativity he felt surrounding him in his personal life only contributed to the feelings of hopelessness he had so often battled throughout his adult life. Change can be difficult, especially for people who struggle to overcome mental health situations that are out of their control. Andrew recognized the ways in which he wanted to enjoy his life, though. He took the first step towards remedying his situation – a personal decision to change. He pursued this fervently by creating a timeframe to effect that change. With his strong resolve to change and the right attitude to make the necessary alterations, Andrew eliminated the things and choices in his life that led to his unhappiness. He focused on the tangible things that were in his control, such as his physical health and his work. Over time, his stringent exercise routines and a change in diet helped him lose weight and return to a healthy lifestyle. Fortunately, positive changes in one’s personal life often go hand in hand with one’s work life, too. Andrew’s newly attained drive helped him in his entrepreneurial journey. Reflecting on his lifestyle changes made him realize what he could achieve when he put his mind to work. On establishing his goal – assisting entrepreneurs to make sales – Andrew decided to explore the massive audience reach provided by social media. Creating an advertising agency from scratch is no simple feat, but Andrew’s resilience and determination made it look easy. With his expanding knowledge about marketing and his uncanny ability to build Facebook groups, he became a renowned social media expert. Despite a change in fortune, Andrew never allowed comfort to get to his head. He kept striving to do better, and his consistency paid off as he made half a million dollars within a year. Remembering his upbringing that taught him show compassion to people, Andrew decided to uplift as many upcoming entrepreneurs as possible by exposing his techniques – something which is quite uncommon in the business world. 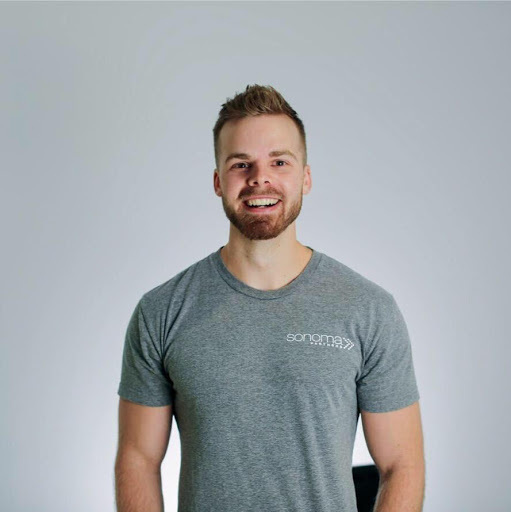 Since a lot of entrepreneurs were interested in Andrew’s approach – especially as it concerns social media marketing – he decided to dole out this valuable information using webinars and online courses to reach a greater number of people. For the social media strategist, his entrepreneurial journey wasn’t an easy one. He was haunted by the consequences of failure, surrounded by a negative ambiance and the demons of his past life. Meditation and mindfulness proved incredibly helpful, and his determination to leave a lasting legacy burned brighter during those dark days. There were times when Andrew was close to throwing in the towel, but the thought of not fulfilling his potential before leaving this planet prevented him from doing just that. Also, the compelling fear of not living his best life and the desire to promote love and community pushed him to continue to take action regardless of the outcome. With the ever-expanding virtual space of social media, Andrew and his advertising agency are looking at redefining how entrepreneurs sell their digital products both now and in the future. They intend to achieve this by using more engaging platforms besides their current Facebook Group strategy.